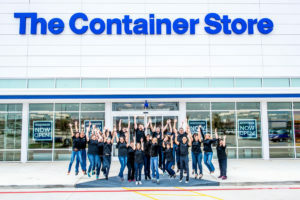 The Container Store in Livingston opened in fall, 2017. This spring — on Saturday, April 7th — the company will celebrate the launch of their newest and fourth New Jersey store in Bridgewater: 335 Chimney Rock Road, Bound Brook. Doors will open at 10:00AM. 1. Purge: The first step to achieving a truly organized home is to purge old belongings. Go through the area you are working on and decide which items you want to keep, which items you want to donate or give away, and which items you want to throw out. Once your space is clear of excess clutter it will be much easier to organize. Also, if you are working on organizing a large space, it’s important to remember to take things one step at a time. 2. Make the most of the space that you have: No matter how small your space is, there is almost always a creative storage solution to help keep things organized and tidy. One of the easiest ways to get extra storage space is by taking advantage of the doors in your home. Many people tend to neglect this often, wasted vertical space, but by adding a door organization system, you can easily bring a new level of organization to your pantry, closet or bedroom. Try using one of the elfa wall and door racks for a customized solution. 3. Use modular shelving: Modular shelving systems are great for adding a customized storage solution to your space. These flexible designs are created to be installed and showcased in various configurations, all based on your individual needs and preferences. These shelving systems can also be easily rearranged to adapt to your lifestyle as it changes. 4. Select functional décor: By choosing décor that doubles as storage or an organizational solution, you will not only be able to decorate your space, but you will also be able to add another level of organization to your home. For example, the Poppin Mini Box Seat is great for a kid’s toy room because it adds a bright pop of color to their space, but is also functional. This item can be used as a chair, and beneath its colorful lid is a high capacity of storage space. 5. When in doubt, turn to a professional: Remember, you can always turn to a professional if any area of your home is particularly hard to tackle, or if you simply don’t know where to begin. 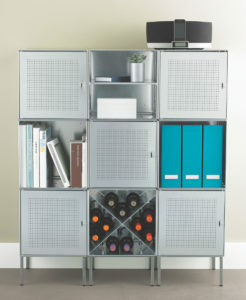 The Container Store offers an in-home organization service called Contained Home. This service provides you with a professional organizer who will come to your home with all the advice, organization and innovative products and solutions you need. These organizers are trained to turn your home into a place where your family can retreat, relax and recharge. As professional organizers, they are experts at creating solutions personalized to fit your taste and lifestyle.